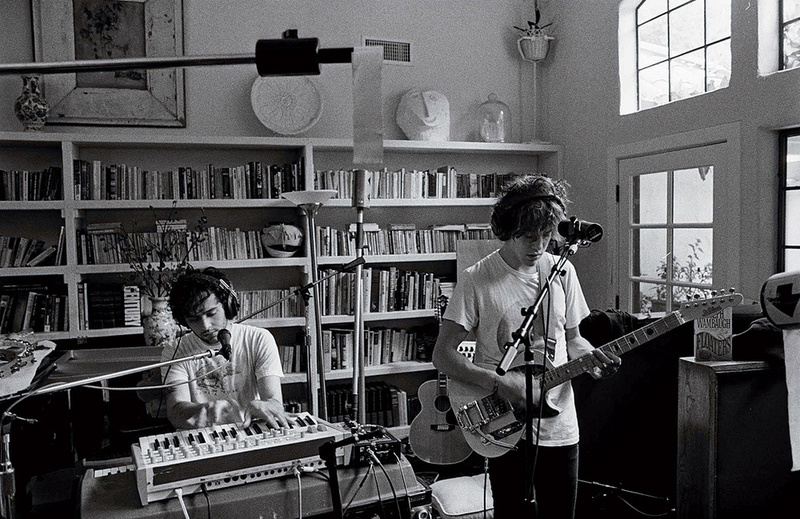 MGMT's Ben Goldwasser (left) and Andrew VanWyngarden at work in the Malibu house in which Congratulations was mostly recorded. As follow‑ups to million‑selling albums go, few in recent times have been quite as startling and extreme as Congratulations, the second long‑player from American duo MGMT. Where their 2008 debut Oracular Spectacular was a sales‑hoovering work of psychedelically enhanced electronic pop, attracting famous fans as diverse as Jay‑Z and Paul McCartney, Congratulations is a different beast altogether. Largely abandoning the pair's pop overtones in favour of their psychedelic leanings, its nine songs take their inspiration from '60s US garage groups and late '80s warped British indie, not least Rugby's Spacemen 3, whose Pete Kember, aka Sonic Boom, co‑produced the album. 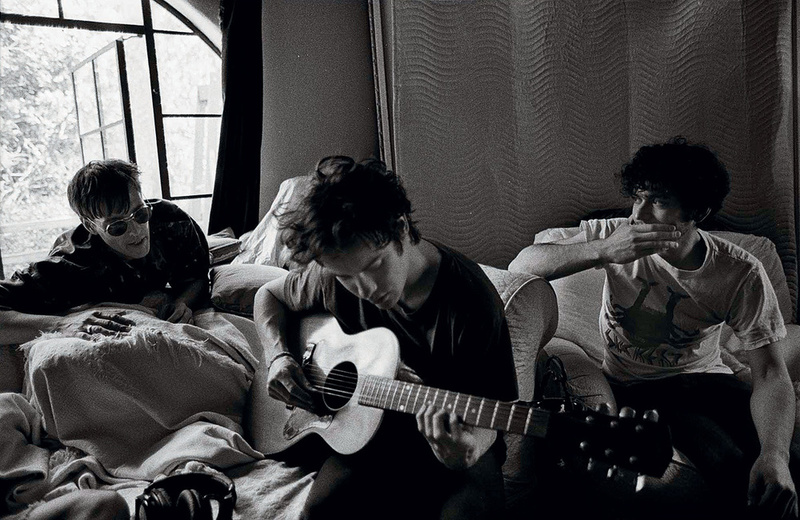 Understandably, however, in their effort to pull away from their pop success, MGMT — Andrew VanWyngarden and Ben Goldwasser — managed to trouble the execs at their record label, Sony Music, who were originally baffled by the duo's new direction. In consciously kicking against the notion of creating Oracular Spectacular Part 2, MGMT risked alienating a large part of their audience. To date, however, that doesn't seem to have happened. Surprisingly, perhaps, for such a frenetic, leftfield, if still very melodic album, Congratulations debuted at number two in the US Billboard chart. 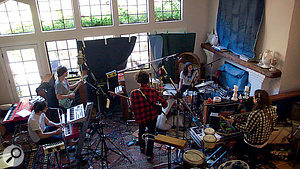 Preliminary sessions for Congratulations found Goldwasser and VanWyngarden in rather humble surroundings, occupying a small rented house in High Falls, upstate New York, with sub‑zero temperatures in the middle of winter 2009, eating junk food and huddling around a log‑burning stove in an effort to keep warm. Not surprisingly, both were soon laid low with hellish 'flu. "I really haven't been that sick since I was, like, six years old,” Goldwasser adds. Nevertheless, this 10‑week stint in the snow proved productive, yielding the first four key songs for Congratulations: rattling psych opener 'It's Working', the closing title track, the strident '60s pop of 'Flash Delirium' and the 12‑minute song suite 'Siberian Breaks'. Having travelled up to High Falls with a flight case full of preamps and compressors put together for the duo by their friend and engineer Billy Bennett, MGMT were pleased to discover that their original scratch Pro Tools recordings could be considered for the finished product. "The whole signal chain was nice — an old Neumann U47 microphone going into nice preamps — so everything we did there, we could take with us somewhere else,” says Goldwasser. "We used mostly a ribbon mic on small guitar amps. The two of us are slowly learning about this stuff as we go along. We understand what all the stuff does, but we're not super‑experienced with gear. Y'know, 'This kind of mic is appropriate for this kind of situation,' and so on. For the Malibu sessions, MGMT brought along their touring band, with the aim of capturing performances that had a live feel. At the rear, left, is the Elka transistor organ that features heavily on the album. This time around, when writing Congratulations, the duo soon began to tire of the limitations and relatively hard living conditions of their High Falls environment. 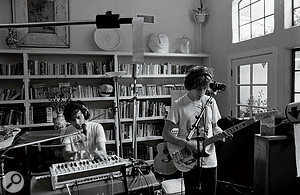 Relocating to Malibu, California, in Spring 2009, MGMT were expanded to a five‑piece with their touring band, who they planned on using in their recordings for the first time, and joined by co‑producer Pete Kember (see box). This time, however, their surroundings were a touch more luxurious. 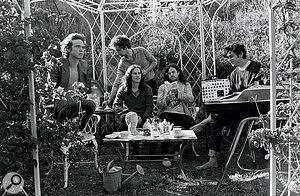 Goldwasser and VanWyngarden argue about whether you might describe the location for the majority of the recording as "a villa” or "a mansion”. As well as the Elka organ, Pete Kember's EMS Synthi A (rear) also helped to define the sound of Congratulations. 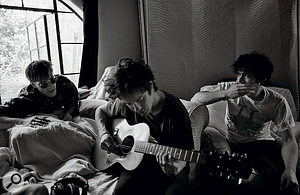 Despite the apparent luxury of their surroundings, however, one shot featured in the booklet of Congratulations reveals the recording setup to have still been relatively ad hoc, with blankets pegged up against the living room windows to cut down reflections. 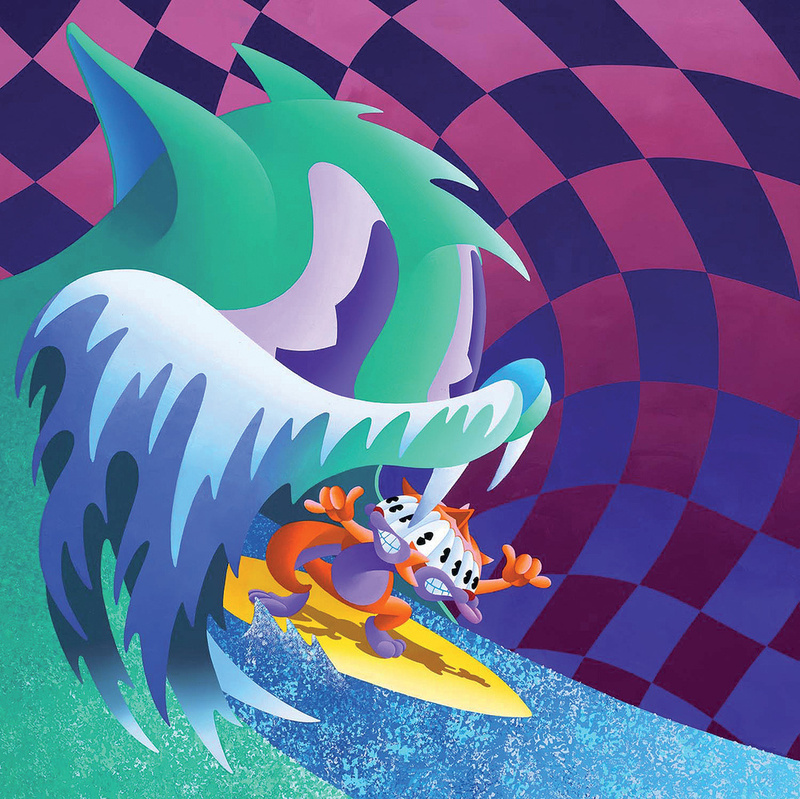 Elsewhere, on 'Brian Eno', MGMT's breakneck garage rock tribute to the lauded musician/producer, both VanWyngarden and guitarist James Richardson make use of the largely forgotten Casio Digital Guitar. "It's basically the same sounds as one of those cheap Casio keyboards, but you play it like a guitar,” Goldwasser explains. And so, as Kember and MGMT packed up the Malibu house after a two‑month stint, they were able to look back on sessions that had been both entertaining and productive, if emotionally fraught at times. 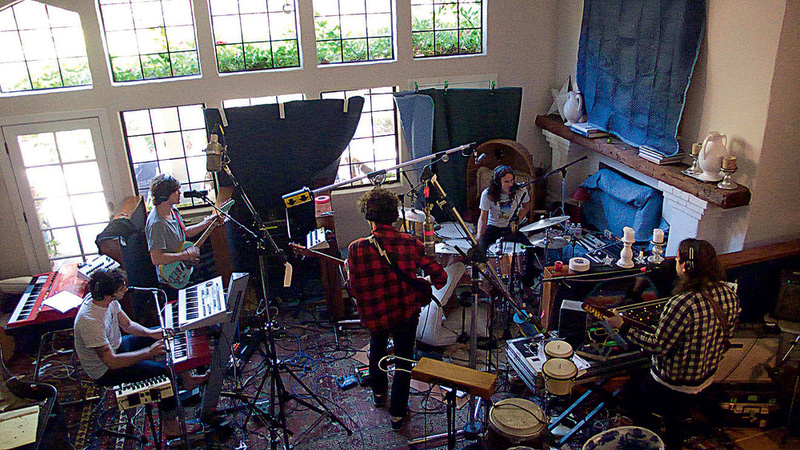 From here, MGMT returned to their adopted Brooklyn home and settled into a summer of overdubs at their friend Matt Boynton's facility, Vacation Island Recording. Impressed by the studio, the duo asked him if he could replicate the setup for them in their own space. In October, the pair's studio, Blanker Unsinn, was completed, just in time for the final recording work to be done on Congratulations. Decamping to Dave Fridmann's Tarbox Road studio in upstate New York in November and December, MGMT set about the task of mixing Congratulations. 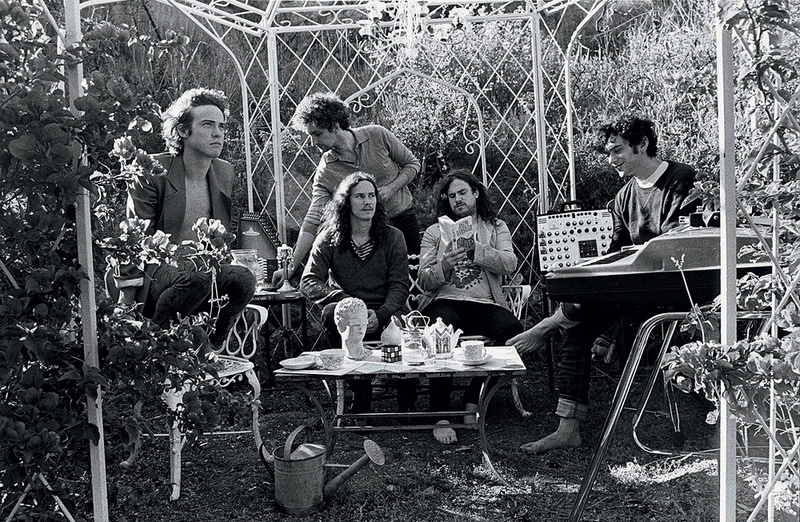 Before they could start, however, VanWyngarden had to complete his lyrics and record his final vocal takes. MGMT settled into a very definite modus operandi in working with Fridmann this time around. "I think we learned from the last album that there's nothing to be gained from breathing down his neck,” says Goldwasser. "We'd be in there going, 'Can you move this a little bit?' And by the end we're kind of not using him to his full potential. A two‑week mix session with Fridmann and the duo proved fruitful. But returning a few weeks later with Kember in tow, the team recalled and tweaked almost all of the tracks once again. Ultimately, you get the feeling that MGMT are far more comfortable with Congratulations than its more poppy predecessor. Colourful and unpredictable, as encapsulated by the cartoon surfing figure depicted on its cover, it opens up a playful future for the band. One of MGMT's musical heroes, Pete Kember of Spacemen 3 (left), came to Malibu with the band as producer. Spacemen 3 devotees MGMT had been introduced to Pete 'Sonic Boom' Kember during a "debauched” week in London in February 2009, and he ended up coming to Malibu with them to produce the album. "We weren't even gonna work with a producer,” says Goldwasser. "We were just gonna do the whole thing ourselves and have Billy [Bennett] engineer it and then take it to [Oracular Spectacular producer] Dave Fridmann. That was the plan. The centrepiece of the equipment that MGMT shipped into the house in Malibu was a 32‑channel Toft ATB console. "But we didn't end up taking any of the rough mix sounds off of it, which was really dumb,” laments Goldwasser. "That's the biggest regret I have is: we were so involved in getting material to take to the mixing session that we didn't end up capturing a lot of the sounds that we had going on that we were listening to there. Like, we had an EMT 250 reverb and we got all these crazy sounds from it and did a lot of rough mixes just listening back with scratch vocals with nonsense lyrics. It sounded really cool, but those sounds didn't really get onto the album. Kember, in particular, managed to coax some highly unusual sounds out of the EMT 250 digital reverb — only one example of which survives on the finished album, partway through 'Siberian Breaks'. In the album credits, it is jokingly referred to as the "first documented use of the EMT 250 reverb 'glitch'”.